It was a meh week of training last week, if I’m honest. Since starting work, it’s been tough getting in the longer mid week training runs. I did have a highlight though! Monday, I was visiting my home town enjoying the Labor Day weekend. When I’m home, I like to run the Turkey Trot 5k course to sorta practice it. It’s not a tough course but it gets me every. single time. This time was no different. 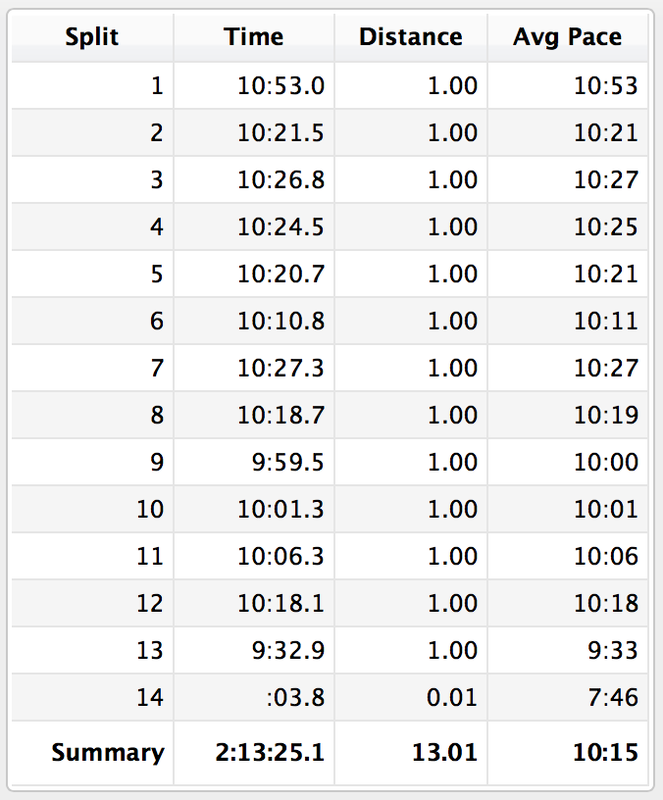 It starts off with a very gradual decline and when you turn around at the mile and a half mark, that becomes a very gradual incline. And that minuscule incline kiiillls me for some reason. This run was so bad. I couldn’t even blame the weather. My PR for this course is 25:43. I’ll be gunning for it this November. Tuesday, I took the day off from running. I’m trying to recall why but can’t. Ja! I met up with my run club at the track on Wednesday evening though. My buddy, Runner Jenny, was making an appearance and I was looking forward to hanging out. That’s kinda what these track sessions have turned into. More socializing than working out, lol! Our coach had a 1×1600, 4×400, 1×1600 workout for us and Jenny and I took it easy, chatting the first mile away. Another buddy, Raq (my BQing bud), told us to get moving on the 400s so picked up the pace. I was at about the low 7s for my first two 400s. At the beginning of the third 400, Raq told Jenny and I to give this lap all we had. She wanted to see one of the four P’s: Puke, Pee, Poop, or Pass out. So basically, kill ourselves for one 400. We were up for the challenge. I was right behind Runner Jenny at the start and we were going faaassst. I stayed with her and at the second to last turn, began to surge. The last roughly 200m I ran like I’d never in my life ran before. Well, pretty much the entire 400 was me running like I’d never in my life ran before. There were two different points where my pace was 5:51!!!!! I know that it wasn’t for a long distance or time, but I NEVER in my life thought I’d see those numbers before. Ever. I had been going so fast that I felt light-headed afterwards! LOL. My husband of course said he knew I had it in me all along and that with training, I could see those numbers again. I love him. Thursday morning I woke up sore from the craziness of the prior day’s events. I usually run in the evenings but we went out for burgers for dinner and I liked that much better. I moved the run to Friday, my usual rest day. I like having Friday as a rest day because my husband and I usually have a mini date night during the day. He’s off of work earlier than usual on Fridays so we usually grab a bite to eat before kid pick up. This Friday was no different except we went out for steak and lobster instead of our usual light afternoon snack, lol! I didn’t want to skip my run though, and after a couple of hours (maybe two and a half), I went for my run. Sure enough, in mile 2, I felt my palms start to itch. I was having an allergic reaction. It wasn’t a surprise. I had a feeling that even though a few hours had passed, and even after I’d taken some allergy medicine, it was still too risky to run after eating. I was able to finish my run though and make it home in time to overdose on Benedryl. This made for a groggy 3:30 a.m. wake up though, as I had plans to meet up with a friend at 4 in the morning Saturday for our long run. I somehow got myself out of bed and dressed. 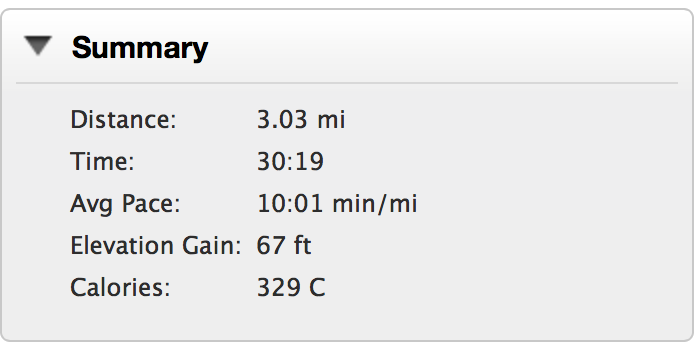 It was an uneventful 13 miler, which was good. I was worried maybe I’d still have remnants of whatever caused my allergic reaction the day before. After 5 miles, we met up with the rest of the crew and my three of my friends kept me company for the next 8 miles. They did a great job of keeping me at pace, closer to the 10s. I commented how frustrating it was that keeping it close to 10:00 was so hard. How would I go faster in the marathon? 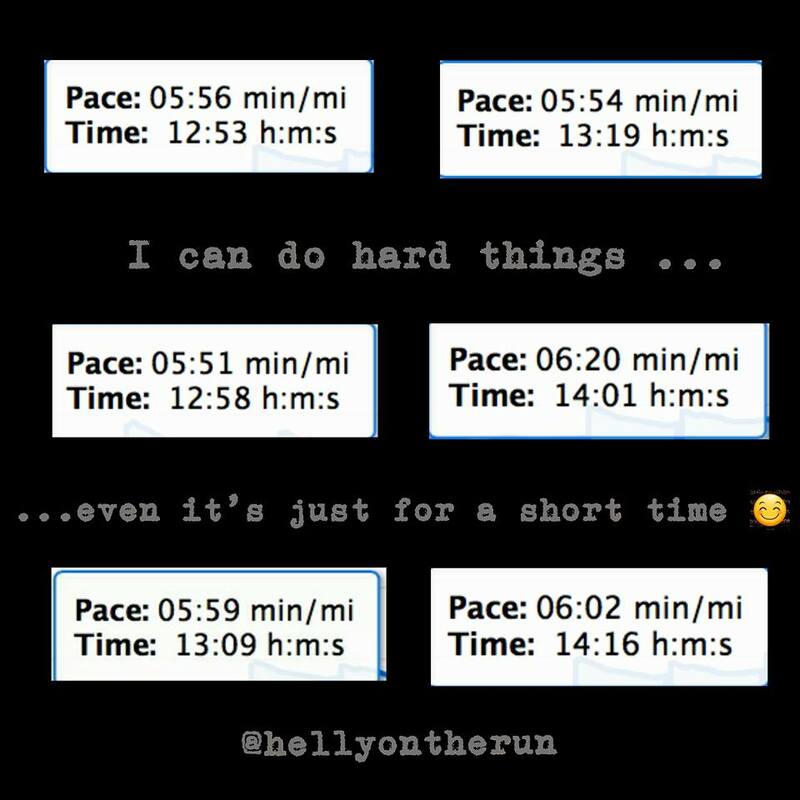 Trust thy training, Helly–they told me. It’s tough, but I know I gotta. –What is the fastest you’ve ever ran? Even if it was just for a few seconds? –Have you ever experienced any of the four P’s? –How do you convince yourself to trust the training? Dude – your 400s!!! So badass! So sorry you had an allergic reaction this week. I can totally relate with back to school workouts being “meh”. I feel “meh” – I’ve hit some good mileage but all while feeling exactly as you described. Ahhh, the four Ps…yes I have. I puked about 100 yards from the finish line at the Belmar 5 Miler in 2014. I’ve pooped myself on more occasions that I care to admit to running, and I’ve run so hard that I laid on the ground for minutes after (is that like passing out? I don’t want to jinx myself here). And for the coup de grace, I once willingly peed myself at the end of the bike ride for a half ironman triathlon. It was around mile 50 of 56 and there was no way in HELL I was stopping for a porta potty at this point – I had a half marathon to go, and I was on fire that day. So, in cruising down a hill, I stood up and peed my pants. Yup. I’m classy. Woo, Speed Demon! Way to go! I think this seems like a great week! Those 400 paces are crazy! Oh, that was just for one! LOL, no way I could do that longer ajja!!! Great week Helly! I kind of had a blah week too. It happens and this week will be even better 🙂 Happy Monday! It sure will! Thanks, girl! Happy Monday right back at ya! That really is true about trusting the training. I have no idea how we can pull out numbers that we do on race day. That’s really crappy about your allergic reaction and that must have been SO HARD to get out of bed after taking Benadryl! That stuff knocks me out! Oh man, it sure does! UGH the allergic reaction! what up with that?! nice to have a break in the weather though, even if you felt the run wasn’t great. Your body was probably like, what the hell lady this ain’t hot! 🙂 you’re doing great! Jaja!!! that’s probably it, lol! Ummm, amazing job at the track. I don’t think I’ve ever seen 5’s before! High five!! I have puked at the end of a race before.